Telford Homes has exchanged contracts for the conditional purchase of a site on International Way in Stratford east London. The developer has acquired the plot for £20m from London & Continental Railways, the Department for Transport and HS1 Ltd. The 1.14 site is adjacent to Stratford International station and Westfield Stratford City. Telford will now deliver 380 homes with a gross development value in excess of £160m. Jon Di-Stefano, Chief Executive Officer of Telford Homes, said: “I am delighted that Telford Homes has exchanged contracts on another acquisition involving LCR and HS1 Limited. 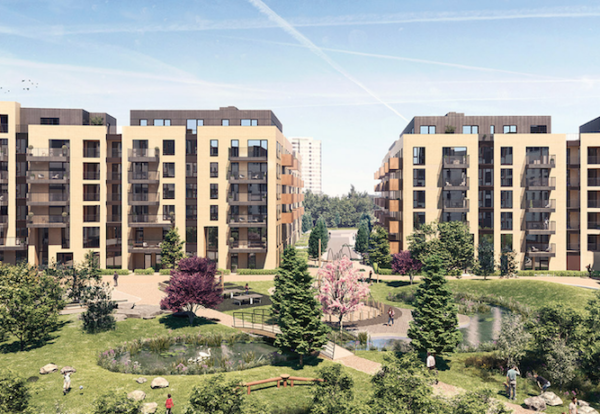 “We have enjoyed considerable success in Stratford developing more than 1,750 homes in the area over the last twelve years.